These considerations include light entry, heat retention in winter, condensation reduction, sound dampening and fading control. There are many glass options to choose from that can address each or all of these required properties. It is recommended that all windows and doors in New Zealand homes have double glazing. Double glazing offers two primary benefits – heat retention in cold conditions, and noise reduction from external sources. Increased thermal effectiveness is possible through the use of argon gas fill and low-e (low emissivity) glass. Choosing the right glass is important in optimising the comfort in your home. The glass options shown focus mainly on double-glazed units of different types. The energy efficiency clause of the New Zealand Building Code (H1) means that double glazing is now the predominant window glass type used in most houses. 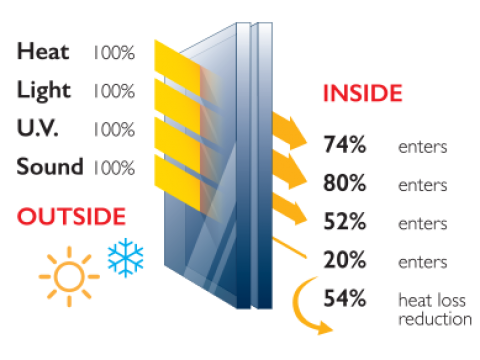 The greater the light transmission, the less heat and fading are controlled. Clear float glass is transparent and offers high visible light transmittance. As such, most UV light and solar heat passes through it. It is economical, but has a high heat loss in winter. This is a common insulated glass unit (IGU) and contains a thermally effective air gap between the panes. 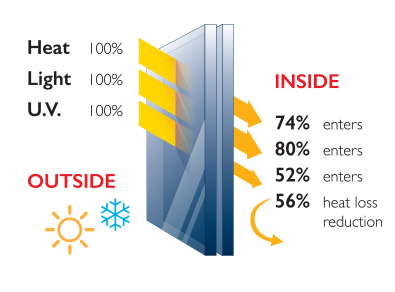 Also acoustically effective and greatly reduces condensation. 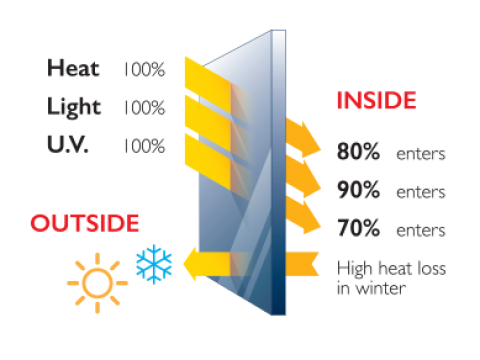 The tinted pane significantly reduces solar heat and UV transmission as well as light entry. Suitable for those windows receiving major summer sun. A handy combination of solar heat reduction and winter-time insulation – a good option for overhead glazing. A reflective outer pane would provide even more solar protection. Argon gas in the internal space enhances insulation performance, therefore providing superior thermal properties. Low E (or low emissivity) glass enhances the insulation value of the double-glazed unit. Consider using with an argon gas fill in order to gain maximum effectiveness. This unit maximises the potential insulative properties of an IGU (insulated glass units). It is ideal for room heat retention in winter.